The passing of a loved one is a time of immeasurable grief and sadness. 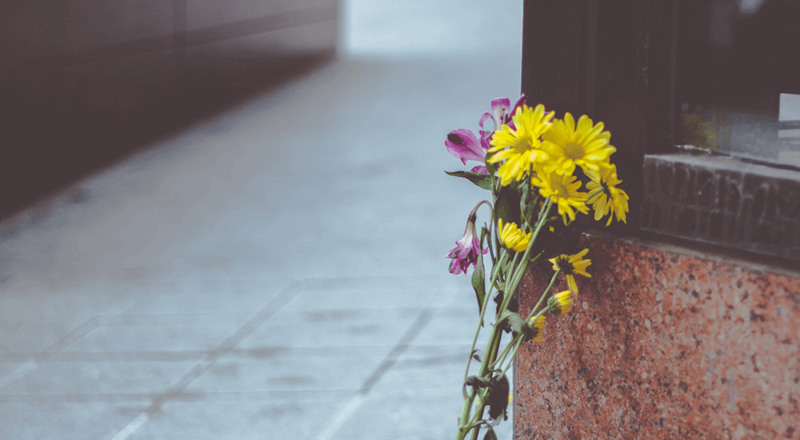 When a death is unexpected, or if the loss was caused by wrongdoing, recklessness, or negligence, feelings of pain, anger, and shock can seem overwhelming. The impact on the survivors is lifelong and can be monumental, both in terms of the emotional toll and future financial hardship. 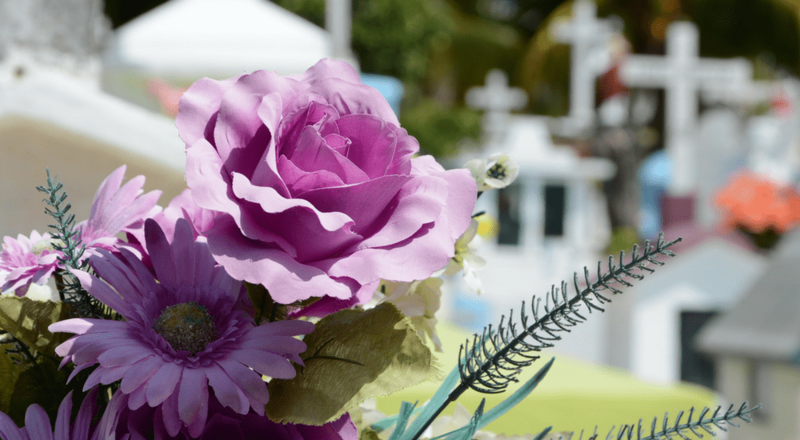 While there is no way to put a price on a person’s life, an experienced wrongful death attorney can help you seek just compensation and hold those that are responsible accountable for your unimaginable loss. The caring attorneys at Slack Davis Sanger can allow you to turn your focus to personal matters while we handle the legal aspects, so you can get the closure and security you need to move forward. After your family is dealt the painful blow of a loved one’s death in an accident, you may feel paralyzed, not knowing where to turn. You may be overwhelmed with grief, yet you also want to seek justice and hold those responsible accountable for your loss. If your loved one’s life was cut short because of the negligence or misconduct of another, in order to seek compensation, you will need to prove that the cause of death was another party’s legal fault. You will also need to be legally entitled to file a wrongful death claim, and you’ll need to define how you have been affected by your loss. The experienced lawyers at Slack Davis Sanger can help you with all of these aspects of seeking compensation. You may be able to receive damages to recover the loss of income of the deceased as well as lost companionship and love. In some cases, a jury may also award punitive damages to punish the party responsible. Laws governing wrongful death lawsuits vary from state to state, but all have one thing in common: You have a limited time to file a claim, or you risk forfeiting your opportunity for financial compensation to hold those responsible accountable for your loss. Whether an accident takes place on a commercial airline, a private plane, a helicopter or an international flight, the results can be devastating for the injured party and their loved ones. The most common types of injuries resulting from airplane and helicopter crashes include head, spinal, abdominal, and limb injuries, along with burns. Accidents could be linked to one or more parties and causes, including pilot error, improper or poor aircraft maintenance, or product defects. The Slack Davis Sanger aviation accident lawyers, working alongside our full-time nurse, can apply our extensive knowledge, experience, and resources to aggressively pursuing your claim. Distracted driving has become a major factor in the rise in catastrophic accidents on our nation’s roadways involving 18-wheelers, motorcycles, trucks, SUVs, vans, buses, and cars. Lives have been shattered as a result of these senseless tragedies. Other causes of fatal car accidents include speeding, veering into another lane, failing to yield, careless or reckless driving, overcorrecting, failure to obey traffic signals and signs, swerving to avoid hitting an object in the roadway, bad weather, drowsy driving, and driving under the influence of drugs, alcohol, or medication. The car and truck accident lawyers at Slack Davis Sanger will guide you and your family through what can be a very challenging time while fighting for the best possible settlement to help offset any future financial hardships. When a train derails, collides with another train, crashes into a car, or hits a person, the outcome can be deadly for the individuals involved. Entire communities can even be affected, if the accident results in a toxic spill. Accidents near railroad crossings might occur due to malfunctioning gates and signals, a train operator neglecting to use lights or horns at crossings, vehicles parked too close to crossings, objects extending outside the train’s usual footprint, or crossing signs that are blocked from motorists’ view. Trains can derail for a variety of reasons, including equipment malfunctions, foreign objects atop the tracks, faulty tracks, and excessive loads. The skilled team of train accident attorneys at Slack Davis Sanger can work with families to file a wrongful death or catastrophic injury claim in the event of any of these or other tragic scenarios. Certain professions expose workers to significant dangers that could put their lives at risk if something goes wrong. Oilfield and construction accidents are two sectors with alarmingly high death rates. Construction accidents that result in fatalities are most commonly linked to falls, being struck by an object on a job site, electrocutions, or a worker getting caught in or between an object or objects. The most common reasons for oilfield accidents and oil rig worker deaths are transportation accidents, fires, explosions, or coming into contact with equipment or objects. Slack Davis Sanger has established a reputation for advocating for workers against large corporations, and has won the regard of colleagues and opposing counsel for the firm’s leadership in handling these claims. We purchase products almost every day under the assumption that they are safe. Unfortunately, it is estimated that over 38 million Americans in 2010 sought medical attention after sustaining an injury related to the use of a consumer product. The Consumer Product Safety Commission reported that injuries and deaths related to dangerous products increased by at least four percent that year over previous years. Some dangerous products that caused consumer injuries or deaths had been associated with a safety recall, while others had not. These incidents could have been avoided if manufacturers and distributors had taken additional steps to keep consumers safe. With the guidance and knowledge of the dangerous products lawyers at Slack Davis Sanger, hundreds of victims of injuries or damages have won compensation in product liability claims. Motor Vehicle Accidents, including failures in steering components, fuel system parts, accelerator controls, tires, seat belts and airbags, electronic systems, roof structure, seats and seat backs, car ramps or jacks, and structural integrity of the vehicle. Defective Tires and Tire Failure from poor design, faulty materials, flaws in manufacturing, detreading (also known as tread separation), tire aging, steel belt separation, bead failures, zipper failures, ruptures or blowouts, tread cracks, defective tire stems, ply separation, improper puncture repair, retread failure, tire incorrect for vehicle, and improper storage. News reports published over the past decade regarding veterans and the NFL have raised awareness about the often devastating health problems associated with head injuries. In fact, about 30% of all injury deaths are linked to a traumatic brain injury (TBI) resulting from a blow, jolt, or bump to the head. Fatalities alone don’t tell the full story, however, since studies show that a larger percentage of victims survive, only to be left with permanent neurological repercussions. Some of the possible short- and long-term effects of a TBI include loss of consciousness, amnesia, headaches, the inability to speak clearly, difficulty focusing, problems with balance, mood swings, and unexplained fatigue. TBI cases are unique for a few reasons. First of all, there is a lack of consensus in the medical community about how to define and classify TBIs. In addition, the outcome of these cases often hinges on a comprehensive legal strategy involving multiple, carefully selected expert witnesses. Yet another challenge in these cases is demonstrating that these injuries should be treated as longer-term or permanent conditions, rather than “an event” that can be resolved in relatively short order. Whether an injury occurred on a job site, in an airplane accident or car crash, or in another setting, the attorneys of Slack Davis Sanger can apply extensive knowledge of this evolving field of litigation to successfully pursue your personal injury or wrongful death claim. Business owners can be held liable in a wrongful death lawsuit if a person dies or is seriously injured in an incident on their property, because a business is expected to protect its visitors. These cases may be filed if a guest slips, falls, or suffers another type of serious or fatal injury on someone else’s property. These accidents can occur in parking lots, office or hotel lobbies, hallways, apartment complex common areas, or leased office space. The experienced lawyers at Slack Davis Sanger can determine who is at fault in these cases, and can secure compensation for injured victims or security and closure for family members who remain after a fatal accident. In some heartbreaking instances, an individual can perish after being exposed to a chemical, pesticide, or pharmaceutical drug. Exposure might take place in the workplace or at home and can be linked to specific consumer products. Slack Davis Sanger attorneys are well versed in all the legal avenues to pursue a wrongful death claim and hold the responsible parties accountable for the tragic death of your loved one. In a marketplace characterized by mass production, rapid global transportation, and economic interdependence, many consumers can suffer in a similar fashion as a result of a company’s mass-produced products or corporate practices. Class action lawsuits provide a legal mechanism for groups of people to combine efforts and resources to pursue claims against large corporations that have wronged consumers and profited from unethical behavior. The saying about strength in numbers certainly applies here: These proceedings have encouraged the adoption of social changes, corrected serious abuses of power, and discouraged future unsafe or hurtful behavior. Consumer rights, which pursue compensation for an individual’s economic losses, usually as a result of excessive fees, ethically suspect business practices, antitrust claims, and defective products. 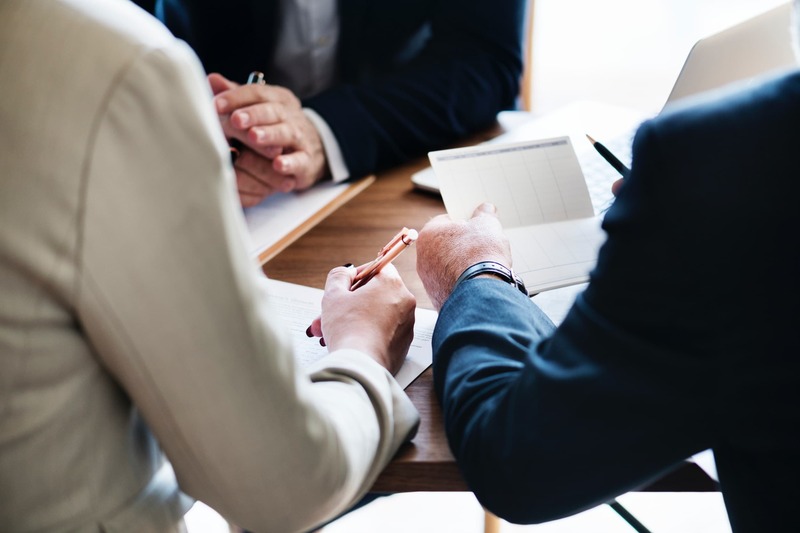 Securities, claims that involve investors in a company who want to recover losses resulting from a managerial decision, which might include backdating of options, issuing inaccurate statements surrounding future earnings, and inconsistent accounting practices. Environmental, in which a group of people are exposed to an environmental hazard. Mass torts, typically involving a large number of plaintiffs who have personal injury claims against a company as a result of a dangerous product or business practice. Civil rights, which have the goal of changing behavior on personal and professional as well as broader, cultural levels. The class action lawyers at Slack Davis Sanger are experienced in navigating the complicated set of laws related to class action lawsuits. We can help you stand up to big corporations and recover the damages you deserve. Corporations don’t always do the right thing. Sometimes, it takes someone with inside knowledge of the wrongdoing to help make things right. Under the False Claims Act, any private citizen can sue any person or entity that is defrauding the government. This is called a qui tam, or whistleblower, lawsuit. These whistleblower laws, which date back to the time of the Civil War, were put in place to encourage those in the public and private sectors to expose waste, fraud, and abuse. Because qui tam lawsuits involve fraud against the government, many involve companies in the healthcare and defense industries. The experienced lawyers at Slack Davis Sanger have a thorough understanding of how to apply the False Claims Act, state whistleblower laws, and the extensive set of federal laws with whistleblower protections to help clients expose fraudulent activity and potentially obtain compensation for their efforts. Over a quarter-century of helping families who have experienced the ultimate heartbreak to seek damages and justice. A thorough comprehension of the legal theories as the basis for pursuing these cases. A thorough understanding of the complicated set of statutes surrounding personal injury and wrongful death, and the nuances of how these are handled in each state. The experience and knowledge necessary for seeking every possible legal angle to pursue your claim in the location most advantageous for the most generous settlement. A perfect balance of compassion and determination to guide you through what can be a lengthy and difficult path toward a favorable resolution. Recognition as a firm with the resources to pursue complex wrongful death cases that may involve multiple victims, extensive research, and a longer time frame.